Su Gutteridge’s grandmother Florence married Frank Ginns at the beginning of the 20th century and they soon had two children. But Frank’s health was being ruined by drinking, and when he became ill and died at the age of only 28, she married a local churchwarden, William Gutteridge. Florence and William found great happiness together, and worked hard to build up a successful funeral business, Ginns & Gutteridge, which is today one of the most respected undertakers in England. 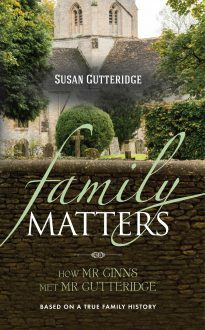 Having researched the early years of her family, Su has now written this intriguing dramatized account of the years when undertakers used horses and it was still unusual for women to have a hand in business.